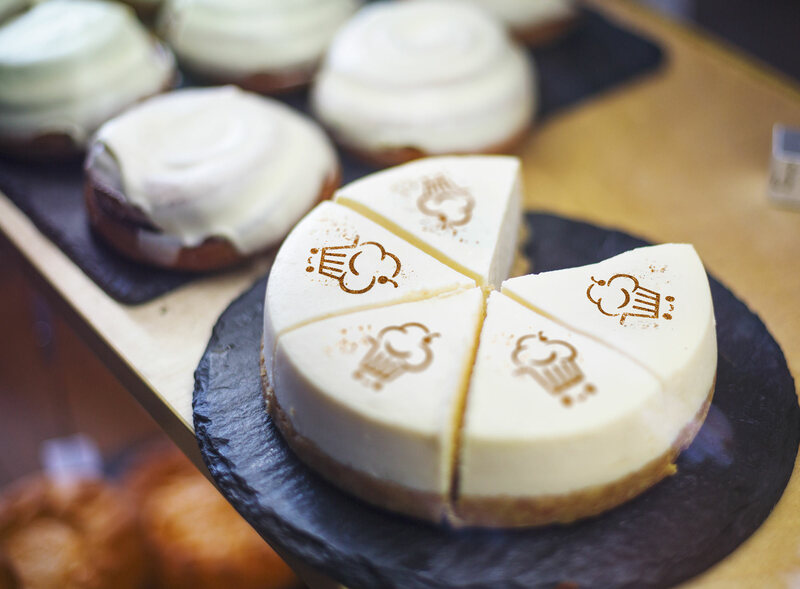 to create a logo for a store for bakers. Konditermag sells rare ingredients and tools for making cakes, muffins and other pastries that are impossible to find in regular stores. 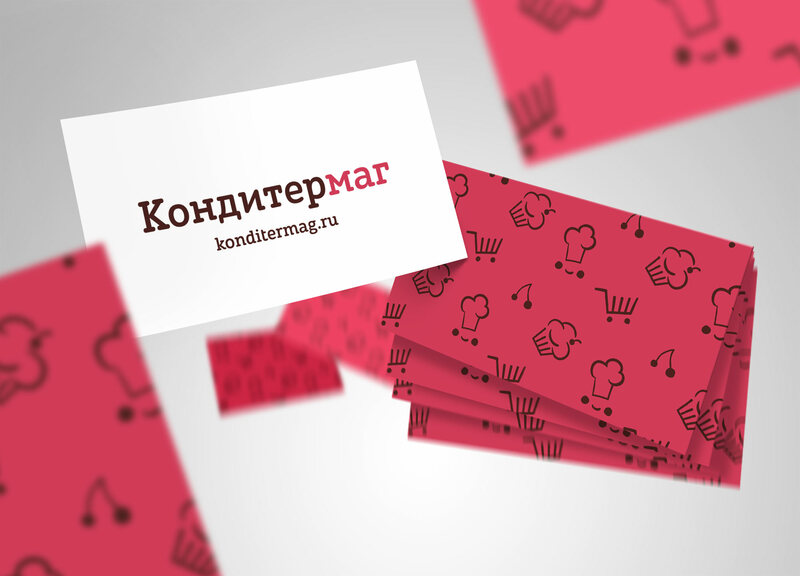 A light and airy logo for the store was created at the studio. 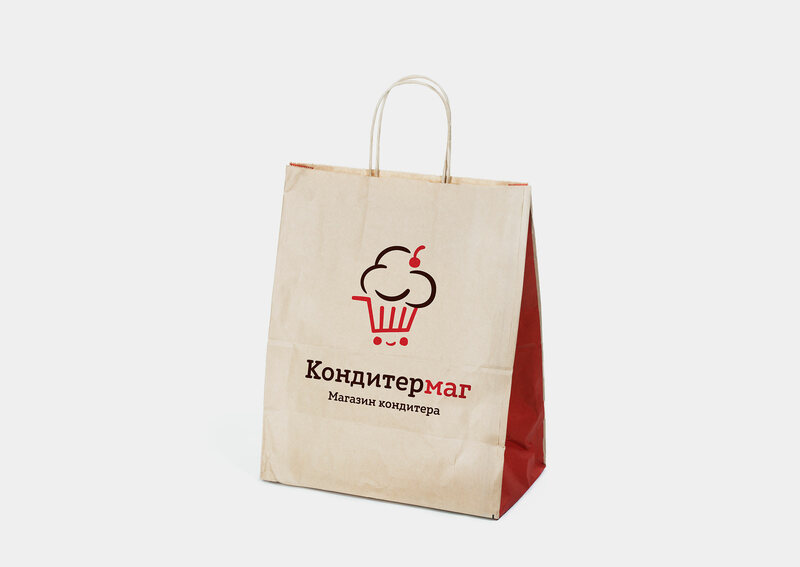 The logo combines several symbols: a baker, a shopping cart and a cake with cream. The logo can be dismantled into individual pictograms that can be used on their own or combined to form the corporate pattern.